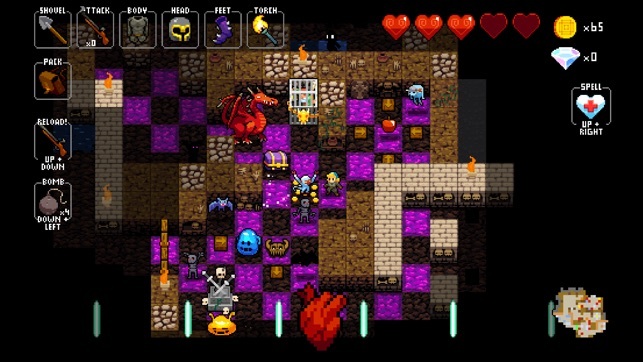 On my last Weekend Gaming Playlist, I mentioned snapping up the Roguelite title Crypt of the Necrodancer, which is still on sale on the Switch eShop. Having now sunk about ten hours into the title, I am faced with a conundrum. Specifically, the fact that I also have the Roguelites Enter the Gungeon and Wizard of Legend sitting on my main menu, as well. A Roguelike, for those who are not familiar with the origin of the term, is a genre defined by its similarities to the 1980 title Rogue, which featured similar procedural generation techniques in addition to a permadeath mechanic in order to ensure that dungeon layout and character progression were different during each playthrough. A Roguelite, on the other hand, is a bit more lenient as a subgenre. It often awards permanent currency, upgrades, and other unlocks that stack as a player invests more time into the game. Although I have sunk a substantial amount of time into all three of the aforementioned titles, I have not reached a “success” screen, as I have with the action-combat Roguelite Heart and Slash. To someone who enjoys visiting my Backloggery and checking off a completed title, this is somewhat irksome. As a reviewer, it is a cause for concern. As I mentioned in my previous article, Roguelikes are defined by the amount of constant elements that exist within their design and procedural generation/randomization. When referring to “constants,” think of items and objects that aren’t procedurally generated: weapons, playable characters and enemies, room layouts, etc. The combination of these constants with the jigsaw nature of Roguelike dungeon design can offer limitless layouts, loadouts, and hazards on the way towards the “success” state- the final floor/boss of the dungeon, a credits roll, a ending where you don’t die. Some Roguelikes take the brave and dastardly route of having no success state, an endless set of challenges that the player survive. While some might say this equates to an arcade experience, the arcade style of game usually has set challenges and consistent scaling of difficulty in order to encourage and give meaning to leaderboards- because a Roguelike features too many randomized elements, players can have drastically different runs where their success does not always rely on skill. All of this means that a Roguelike can sometimes be a difficult title to complete. While most developers likely factor the rate of certain dungeon sizes and layouts, as well as item and enemy type spawns into the design of their title, the amount of randomization and constant acquisition can be tweaked in their favor also, turning a game that could be ten hour title into something that is thirty or forty hours instead. Videogamedunkey, a popular internet personality whose content mainly focuses on video games, recently reviewed Enter the Gungeon, a title that released more than two years ago. Partially because he is a busy person, but also because the Roguelite was one that frustrated and delighted him. He frequently gave up on the title and would return to play more later. Sometimes, this is the nature of a Roguelite. The randomization on display can cause a game with solid mechanics and foundations to appear unforgiving and unappealing, with the only incentive to continue being the hope that one’s next run will have a better combination of tools and hazards. 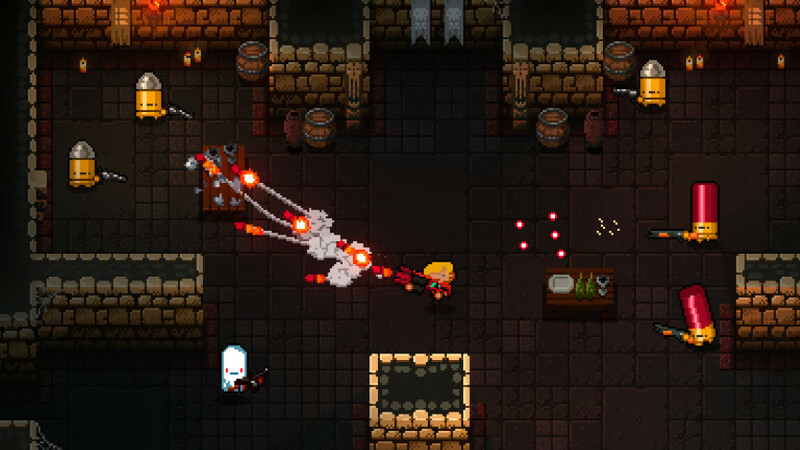 On the other hand, Enter the Gungeon can be forgiven by its somewhat skill-based gameplay, where the player is gifted certain resources to render themselves untouchable in certain situations- certain, but not all. I was on the fence about purchasing a recent Roguelike release Unexplored: Unlocked Edition, for the purposes of reviewing the title for this very reason. While there are many titles that focus on the mastery and discovery of their systems in order to create satisfying gameplay loops, Roguelikes often hide away constants behind more difficult floors or certain objectives in order to continuously surprise and challenge a player. I am a firm believer in the idea that a writer should attempt to complete as much, if not all of a title in order to give a fair and balanced impression. Some games have narratives that demand completion in order to fully appreciate. Others save their most dastardly and inventive challenges for their endgame. So is it necessary to sink in the seemingly arbitrary amount of time needed in order to properly review a Roguelike? Maybe not. While some games are meant to be completed, others are simply meant to be played. As a completion-oriented individual, I view the assessment of a Roguelike as a difficult task, yet I also view the acquisition or at least familiarity with all of its constant content as the moment where the title no longer thrills me. I enjoy discovering a game and its environments, so the prospect of randomized runs only brings me a certain degree of excitement. While I understand that many video game enthusiasts enjoy having a title with a large degree of replayability, the idea is not all that appealing to me. Does this mean I am not properly equipped to review a Roguelike? There are still elements of the genre that appeal to me, such as the way combat is handled, the progression systems (if any exist), and the momentum of the game itself. But I also find fault with titles that use procedural generation in order to buffer play time. As someone who has sunk more than one-hundred and fifty hours into games like Breath of the Wild, Xenoblade Chronicles 2, and other RPGs with thoughtful world design and minimal- or at least, manipulative- randomization, I find the combined effort of creating persistent game worlds much more impressive. Perhaps someday, when procedural generation offers more nuanced environmental design and a better sense of character progression, I will reconsider my feelings on Roguelikes. However, as it stands, I think it best that I don’t attempt to review one in the near future. If I do, it will need to have a major disclaimer.